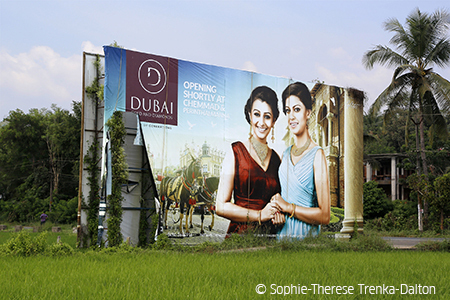 During her stay in Kerala, visual artist Sophie-Therese Trenka-Dalton will continue her long-term project «Dubayyland», introducing a new chapter «Gulfi», focusing on the cultural and economic relations between Kerala and the UAE. © Joseph Devitt Tremblay Sophie-Therese Trenka-Dalton (*1979, Berlin) lives in Berlin. She studied visual art till 2007 at the University of the Arts, Berlin and Cooper Union, New York. After her studies she travelled for projects within Europe, to Los Angeles and to the United Arab Emirates, where she developed central aspects of her current artistic practice. 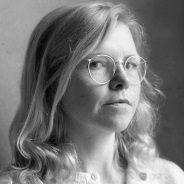 In her research-based installations, Trenka-Dalton examines the processes of cultural shifting and appropriation that occur when centres of power implode and reshape. She retraces the continuous migration of cultural motifs along objects, buildings and stories. For exhibitions, she develops architectural display-sculptures that present collected artifacts, sculptures, photography and video work. In addition, artist lectures give further insight into the chains of visual associations that run through her work. During her stay in Kerala with the bangaloREsidency the artist will continue her long-term project Dubayyland (since 2009) and develop the new chapter Gulfi, which focuses on the cultural and economic relations between Kerala and the UAE. Starting point is the line of thought she developed for Dubayyland, where Dubai reads as a miniature and direct materialisation of the contemporary world and how it functions. Gulfi will examine Keralite life realities that have been influenced by migration specifically to the UAE and the resulting remittance capital returning to Kerala. Sophie-Therese Trenka-Dalton has exhibited at basso, Berlin, Serpentine Gallery, London, Klaus von Nichtssagend Gallery, New York, Kunstraum Michael Barthel, Leipzig, Heidelberger Kunstverein, Heidelberg, KW Institute for Contemporary Art, Berlin, Alserkal Avenue, Dubai and Neuer Berliner Kunstverein, Berlin, amongst others. In 2016, her catalog PALMS was published by Textem Verlag Hamburg, giving a first comprehensive overview of projects and exhibitions since 2005. Also in 2016, she was voted onto the board of the berufsverband bildender künstler*innen (bbk berlin, Berlin’s main artist association), where she advocates for fair pay for artistic labour. In order to research the specific relationship between Kerala and the Gulf countries, for my project ‘Gulfi’, I spent 10 weeks in Kerala as part of the bangaloREsidency, organised by the Goethe-Institut Bangalore. The Kochi Biennale Foundation supported my project with an Artist Residency in Pepper House in Fort Kochi. 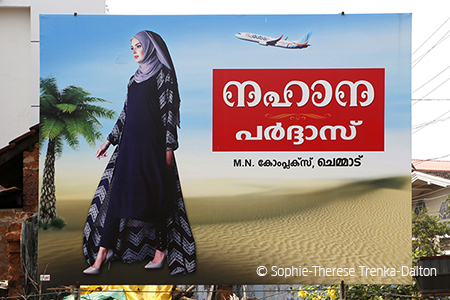 During my time in Kerala, I search for references to the Gulf States. During conversations with the people I quickly realise that practically everyone has relatives in the Gulf, who moved there to work or live. Both the taxi drivers with whom I drive around have worked as family drivers in Saudi Arabia. One of their wives is still working for a bank in Bahrain. I briefly met her on his phone via video call during one of our sight-seeing tours. In addition, my favourite kiosk owner shows me pictures of his daughter and his son, both married in Dubai. The son of the homestay-family where I used to live worked in a beach resort next to the Jebel Ali harbour and one of the founders of the Kochi Biennale Foundation mentions that two of his brothers are living in the Emirates. To have work and family in the Gulf is part of everyday life for people in Kerala. During my stay, I learn a lot about the specific social, political and cultural configurations of Kerala which influence this particular exodus of workers to the Gulf in the past few decades. A key motive in the myth and self-image of Kerala is seafaring: spice trade, fisheries, boatbuilding and religions which established themselves on the Malabar Coast through the sea route. I found one of the first links to my previous work in Dubai directly in front of the window of Pepper House. My work space is located right on the sea with a view of the container port of Kochi on the opposite island. The container port is run by Dubai Ports World, an Emirates-based company, which conducts and develops industrial and free ports worldwide. In the following weeks, I spend a lot of time watching and filming the container port and the boat traffic from my window, including container ships, ferries, oil tankers, battleships and fishing boats. Later, I take up some recommendations which bring me to the city of Kozhikode and the Malappuram district north of Kochi. Inside Kerala the area is known for the highest population of Muslims. 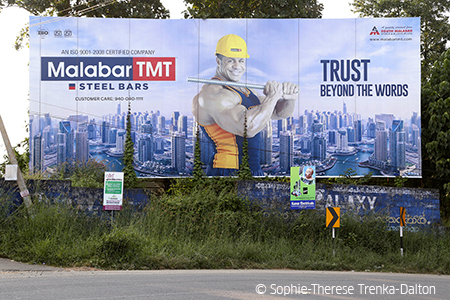 In the small towns of Malappuram, I document numerous shops, signboards and advertisements with a connection to the Gulf in words and images. For example the jewellery shop ‘Dubai Gold and Diamonds’, markets with names like ‘Gulf Bazaar’, restaurants like ‘Sharjah Palace’ or the garage ‘Abu Dhabi Motors’. 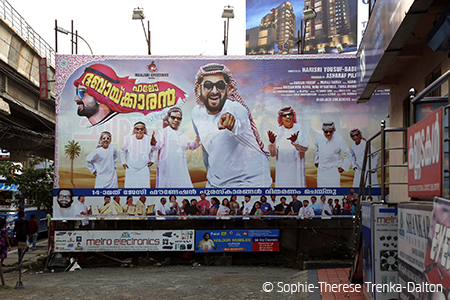 In comparison to the microcosm of Malappuram, I also document some video material in the area of the monolithic LuLu Mall which represents an oft-quoted success story: At the beginning of the ‘90s a business man from Kerala founded the super market chain LuLu Hypermarket in Abu Dhabi. 20 years later, he became a billionaire and opened a LuLu Mall in Kochi, the biggest, or depending on the source, one of the biggest in India. Since it is not particularly viable for retailers, except for the booming LuLu Hypermarket on the ground floor, most of the brand stores in this huge mall are empty and the mall functions rather as a social meeting point for young people who arrive in streaming hordes to advertising events like ‘LuLu Beauty Queen 2017’. The 5-star Marriott Hotel Tower was built simultaneously next to the mall – no alcohol served, a shisha lounge by the pool and a helipad on the rooftop. At the breakfast buffet, a young man in a wheelchair asks for Arab food for his mother. The cabin crew of Gulf Air pass through the foyer of the Hotel. ‘Gulfi’ will be presented at the Pepper House Residency Show which will happen during the Kochi-Muziris Biennale in December 2018.